6 How To earn Yatra ecash? Yatra app refer & earn– Hi Guys , welcome back to avjtrickz. Hope You Are Enjoying Our Free recharge tricks & shopping tricks , Now here is another loot from Yatra The Well Known Ticket Booking App has Added The Gift Vouchers Of Different Stores For Redeeming The eCash. You Can Earn more Cash By Referring Your Friends. Well, Through Yatra, You Can Do Flight bookings, cheap air tickets of domestic & international airlines bookings with Yatra.com India. Get best travel deals for hotels, holidays, trains and air tickets. Yatra App Has Refer & earn Option Also, You Can Refer Your friends When They Join On the App, You Will Be Rewarded With The E-cash. When You Refer Your friends, You Will Get – Rs.1500/Each Refer. When Your Friend Joins Under You – He Will Get Rs.2000. They Now Added The E-Vouchers Of Amazon, Flipkart & Myntra To Redeem With Your e-cash, So Its Wise To collect cash by referring your friends. Now follow the below instructions to earn free gift vouchers. 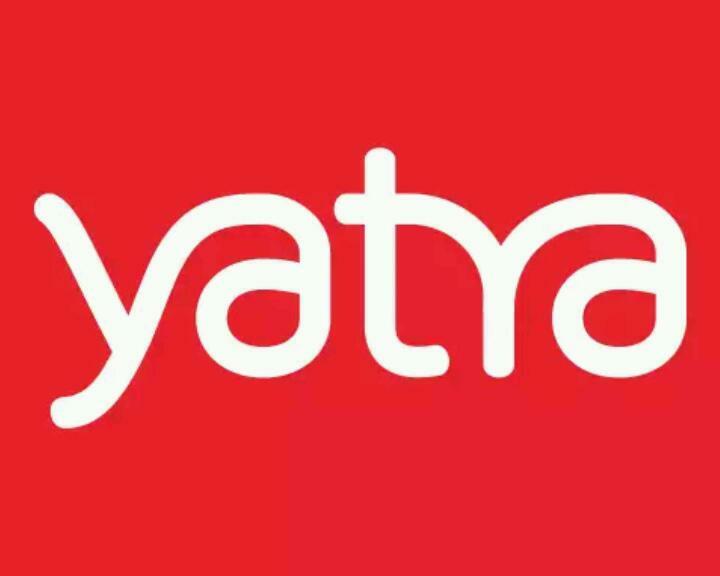 ▪ First Of All, Just ⬇Download Yatra app From This Link To Earn Rs.2000. ▪ Now After Downloading The Yatra App, Just Open It And Make New Account Through signUp. ▪ Complete The Sign-up & You Can See Rs.300 In Yatra Wallet. ▪ Then Soon in 5 Minutes Another Rs.2000 Will Credited In Your Yatra E-Wallet So, Total Will Be Rs.2300. ▪ This Cash isn’t Redeemable Right Now. ▪ You Have To Wait For Its Expiry Date To Redeem, As its Become Convertable 15 Days Before Expiry. Yatra eCash earned by inviting friends to download Mobile App is valid for 60 days. Your E-cash Becomes Convertable to the gift vouchers 15 Days Before Expiry. So if You Have Rs.2500 Yatra E-cash, You Can Redeem it For Amazon, BookMyshow Vouchers Of Of Rs.500 After 45 Days. ▪ Amazon Rs.250 Voucher – Rs.1000 Ecash. ▪ BookMyShow Rs.250 Voucher – Rs.1000 Ecash. ▪ zabong Rs.250 Voucher – Rs.250 Ecash. How To earn Yatra ecash? 1. You earn eCash on making a successful booking with Yatra.com. eCash gets automatically credited to the eCash wallet after the booking. 2. You also earn eCash when you invite a friend to download the Yatra app. This amount is credited when the referred friend registers on the Mobile App. You don’t have to apply any promotional code to get this eCash. 3. Another way to earn eCash is through promotional codes and offers. You must apply the promo code to earn this eCash. Next articleHow to Change Name, Address, Mobile Number, DOB in Your Aadhaar Card Online or Offline? Which theme do you use on this blog?